Image Spark - Discover, share, tag, and converge images that inspire you and your work. - Adding New Sites Every Day ! A creative tool that helps you collect, discover, share, tag and converge images that inspire you and your work. 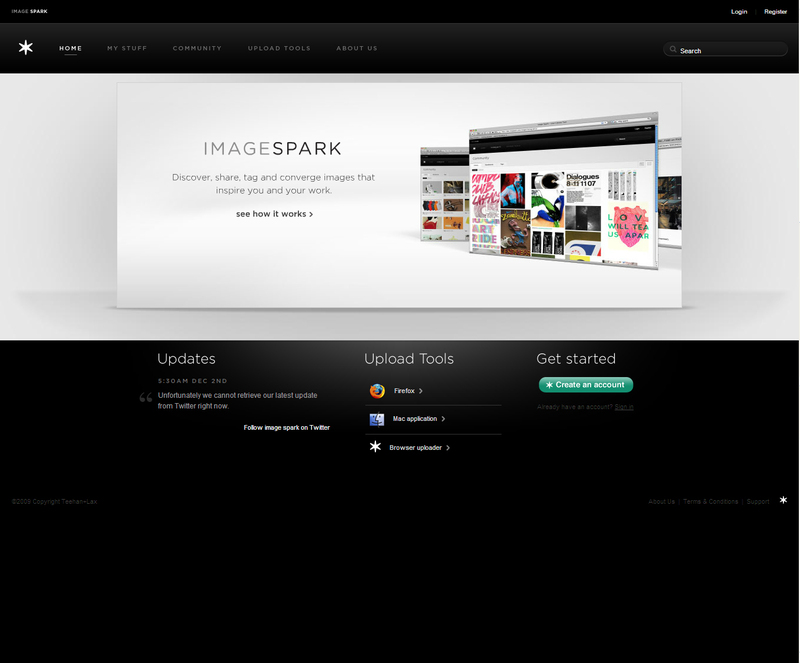 Image Spark lets you upload and create a library of images that inspire you in whatever it is you do. Whether you're a fashion designer, web designer, or just redesigning your bathroom, Image Spark can help harness the visual direction of your projects. But it's not just about collecting and storing images — you can converge images using Image Spark's moodboards and help set the visual tone or style you're after. 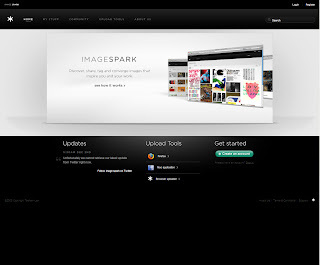 Image Spark also lets you browse through other user's libraries and moodboards. Looking to the community is a great way to get inspired and grow your own collection. Working on a project you'd rather keep private? Not a problem — sharing your images and moodboards is completely optional. Our company is called Teehan+Lax and we help clients with all kinds of digital experiences. Sometimes we help them create and improve the way their customers do business with them. Other times we're designing experiences to create awareness and demand for their products or services. You can find out more about us here. Most of our creative people at Teehan+Lax keep a collection of things found online to look to later for inspiration — we're constantly hoarding photos, typography examples, data visualizations and interface elements. In the days before Image Spark, we used to take screenshots and save images to desktop where eventually they would find their way into folders to flip through later. Not only was this process pretty cumbersome, but the end product wasn't very good for sharing. So truthfully, we built this tool to help our creative process, but we realized early on you might have uses for it too. Image Spark is free to use. Each new account is assigned 1GB of storage space and two moodboards.